Chee cheong fun is a popular breakfast food in Singapore and Malaysia. 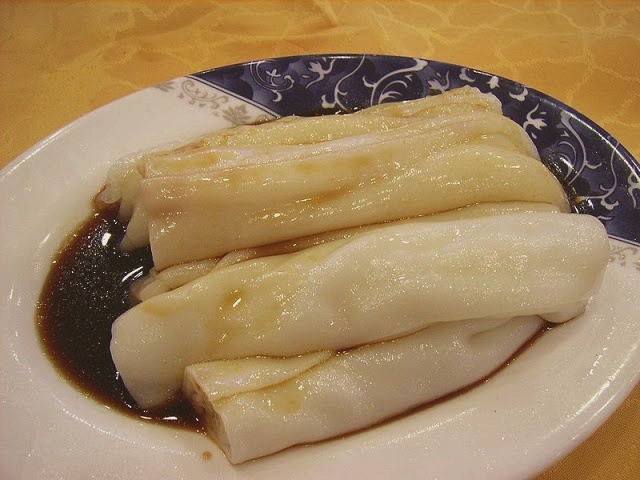 Chee cheong fun is frequently served at kopitiams and Chinese restaurants. This is a wonderful chee cheong fun recipe. but don’t you know that the word "chee cheong" means pig intestine? juz sharing.